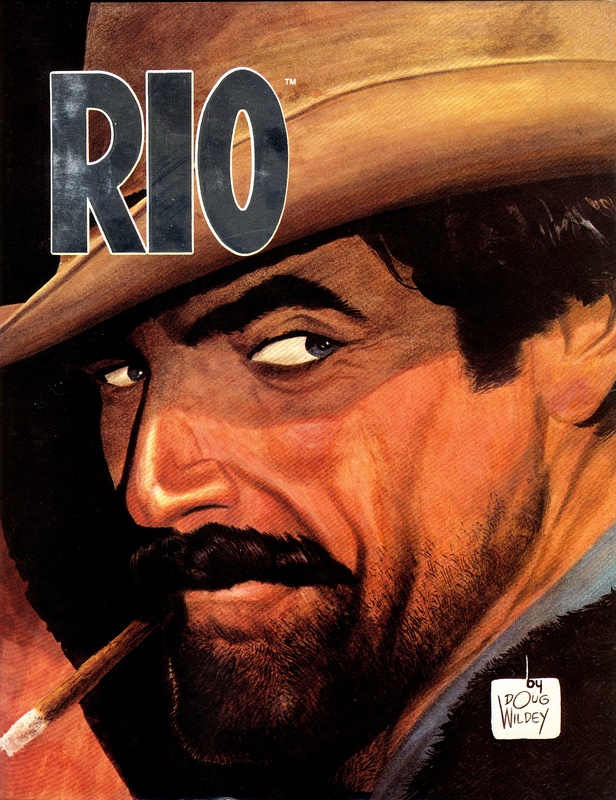 IDW solicited a complete Doug Wildey Rio collection recently and that shook a few cobwebs loose about a hardcover from years back. Hot on the trail I was browsing a comic shop for old hardcovers and came across Rio by Doug Wildey, a 1987 collection by Comico from material originally published in Eclipse Presents and presented in a signed and numbered limited collection by infographics design. I remember when the Comico softcover was released and giving it a quick look but being young and only into superheroes I gave it a pass. Honestly I wouldn’t have appreciated it at the time and it would have sat unread on my shelf for a few decades. 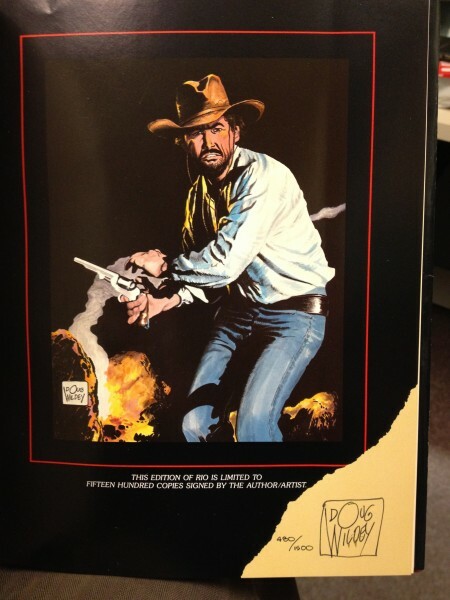 Wildey had a long and fruitful career in comics and animation, with Jonny Quest as his biggest creation. Rio is the story of an aging gunfighter who gives up his wayward ways and goes the straight and narrow after meeting Ulysses S. Grant. It’s a straight up western with quick action, snappy dialogue and loads of bad guys. Yet Rio engages on a personal level because of his experience, age and sensibilities of someone who has seen both sides. Great stuff. Unfortunately the 80s colouring job of the interior material is pretty bad. Graphitti Designs didn’t do much with the 8.75 x 11″ Comico material other than put it in a hardcover with the signature page above. Sixty four pages for $34.95 cover price; as far as I know the only signed and numbered book from Doug Wildey. Some online searching shows this book doesn’t come up very often but when it does expect to pay about $60. I picked mine up for $16 in a discount bin last week.